The ibis bird represents the God Thoth, the god of wisdom and learning. 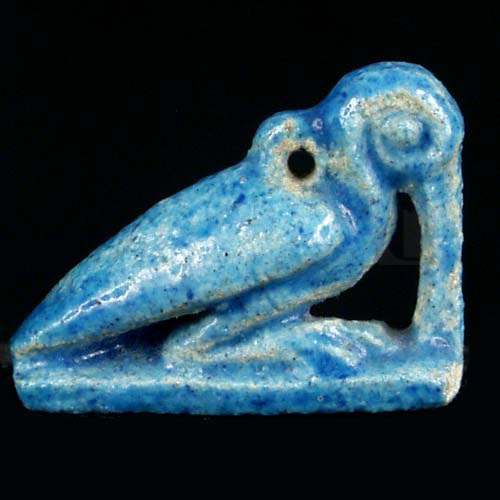 Made from faience, a blue-glass like substance used mainly in jewellery-making, this good luck charm came from the tomb of Queen Tiy in the Valley of the Kings at Thebes. Queen Tiy was the mother of the Pharoah Akhenaten and the grandmother of Tutankhamun.